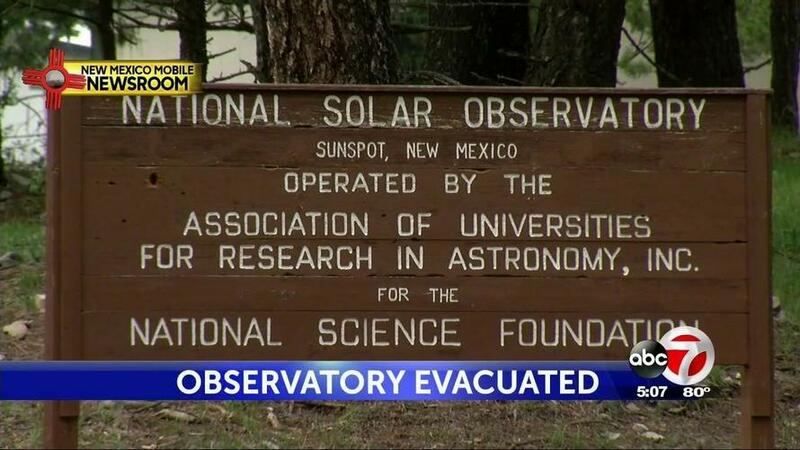 The National Solar Observatory in Sunspot, New Mexico was raided and shut down by the FBI on September 6 over an undisclosed national security issue, stirring up a wide array of conspiracy theories on YouTube, social media and tabloids. An anonymous 4chan user who called both nearby Apache Point Observatory and the local sheriffwas told that they were “locked out” of the Sunspot observatory and had no idea what was going on. Located near both White Sands Missile Range and infamous Roswell New Mexico, speculation over the observatory’s abrupt closure has ranged from an alien mothership using the sun to “refuel”, to a devastating solar disaster such as the 1859 Carrington Event – a Coronal Mass Ejection (CME) which would have undoubtedly blown out most satellites and electronics had they been invented yet. Others have pointed to the fact that NASA launched a new solar probe last month – the first-ever mission to “touch” the sun, while the space agency will (or has) shot it’s Focusing Optics X-ray Solar Imager (FOXSI) 190 miles into space for a 15-minute “peek” at the sun. The many thousands of telescopes world wide are normally looking at the night sky, not at the sun. Additionally, most telescopes are looking at things at distances of 100,000’s of light years. They won’t “see” a UFO hovering right if front of them, or even a few light minutes away. Only solar scopes are looking at as short a distance as 8 light minutes. The FBI swooping in on a Blackhawk means that “time” was a factor in the “effectiveness” of their response. That the FBI shut down the post office is really interesting. Makes me think someone (unidentified) was trying to get the word out, about something, and the FBI was called in to rapidly shut down efforts to communicate beyond the observatory. Shut down the post office and check all the mail, shut down RF comms (guys on the antenna) and go over the facility with a fine tooth comb to find any memory stick or any “virus” program hiding in a computer somewhere ready to send data out to the web when reactivated. It also wouldn’t surprise me to learn that every solar observatory in the world has someone, like their director, who’s job is to erase such data. What would it look (to the outside world) like if this designated person at Sunspot AZ contacted the “authorities” and said “we got a ‘rogue’ trying to get the word out, I need help to shut this thing down”? How about this: what if data collected from the preeminent solar telescope did show we’re heading into a Maunder Minimum; mini ice-age for next 100 years or so? I just read before this FBI episode that solar astronomers had discovered a new solar feature deep in the Sun. Don’t remember the details, something about a new, big convection cell or something. What are the locals saying? Lifson told ABC 7 there is no timetable for the Observatory to be re-opened. ABC-7 also reached out to the FBI, but did not hear back from the federal agency in time for the deadline. The FBI did speak with local law enforcement about the length of the observatory closure. The observatory’s location, near multiple military bases two hours’ drive from the town of Roswell, has sparked massive speculation on social media. Roswell was the area of a famous 1947 sighting of UFOs which government officials said were high altitude weather balloons. For the conspiracy-minded, Tyler Glockner, who operates the YouTube conspiracy channel secureteam10, speculates that the evacuation could be part of a government effort to cover up a discovery involving aliens, an imminent solar flare, and or something outer space related. Glockner then said one Reddit user suggested a national security issue threat was discovered involving a foreign power attempting to use the observatory’s antennas to spy on nearby White Sands Missile Range. New amateur drone footage shows the observatory is a “ghost town,” said Glockner. When the drone first lifts off, the camera shows the White Sands Missile Range in the distance (25 to 30 miles).